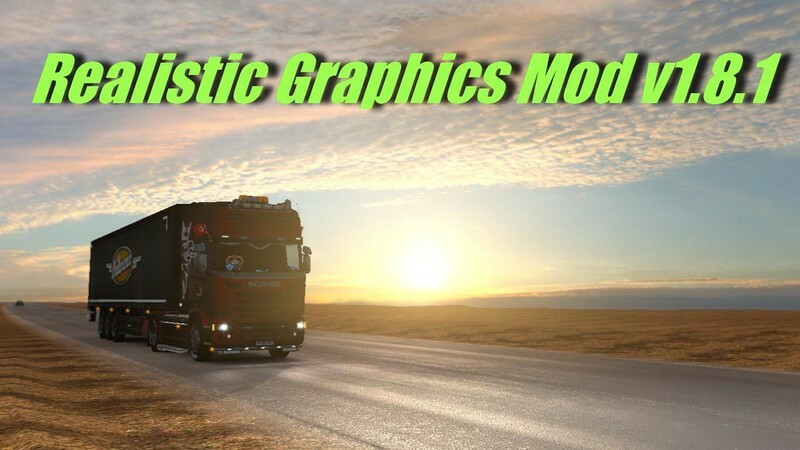 Realistic Graphics Mod v1.7.1 (1.27.x) for Euro Truck Simulator 2 game. 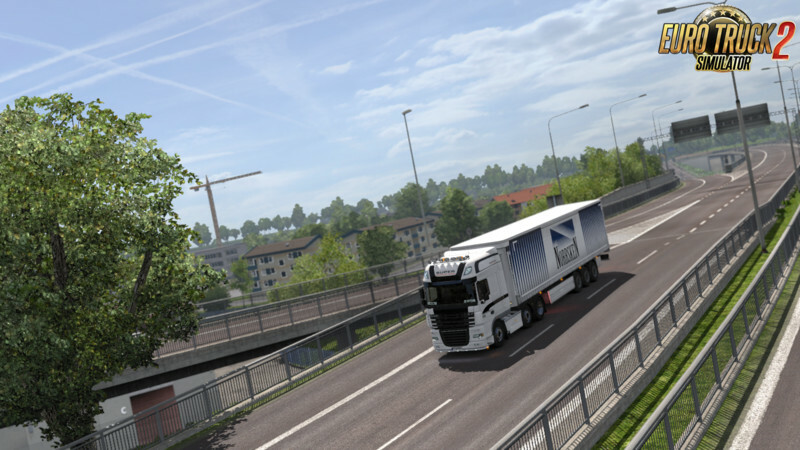 • First graphic mod in ETS 2 Workshop. • Running operation without errors. 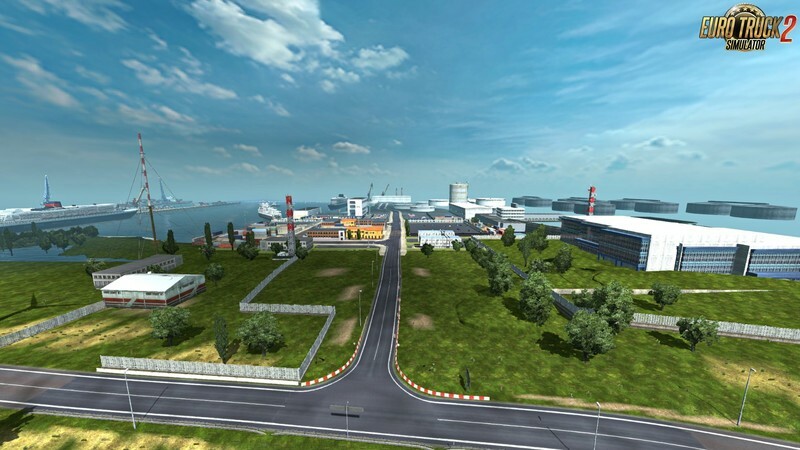 • SGate's weather mod included. You can turn off the High Dynamic Range(HDR) option in graphics settings of game for more colorful-brightness night driving. - bug fixed from previous version. 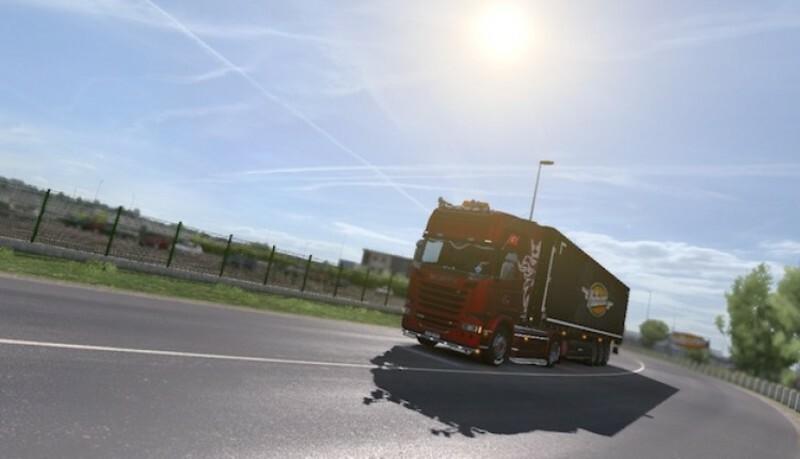 If you like this mod, +1 rate please. It's very simple: http://i.hizliresim.com/MJbYqa.png Thanks! - All light reflection effects revised and made more realistic. 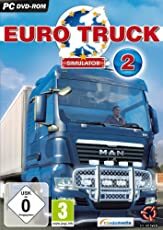 - Now compatible with 1.33 update. - Rain sound effects improved. 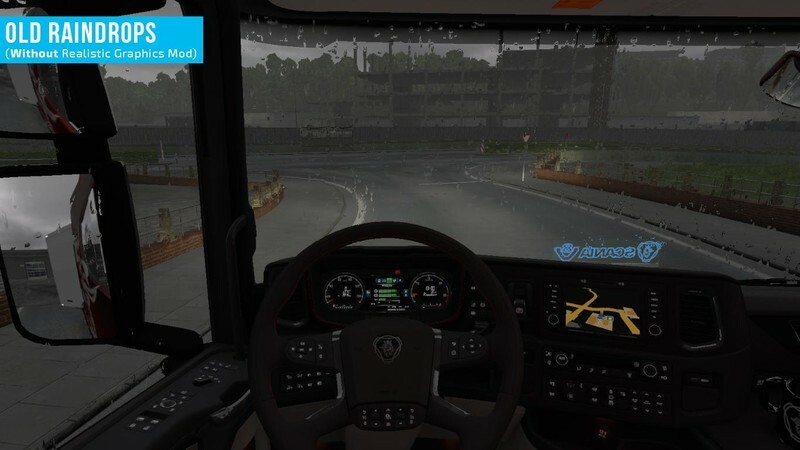 - Raindrops amount on glass increased. 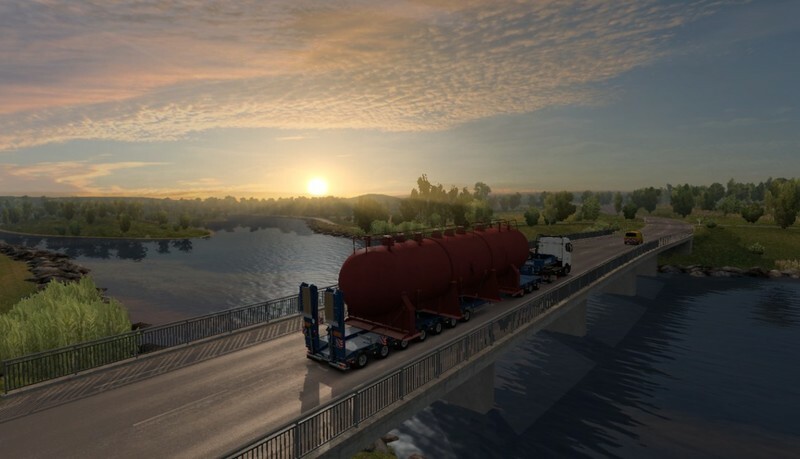 This mod improves ETS 2 graphics for better realism. - Improved visual of the sun. - Reduced darkness level of nights. - Added specular reflection effect to all light sources. - Added missing reflection effects of some lights. - Improved light reflection ranges. - Re-adjusted size of light flares. - Re-adjusted visibility distances of light flares. - Improved warning lights of emergency vehicles(Police, ambulance etc.). Click to see changes made in previous versions. 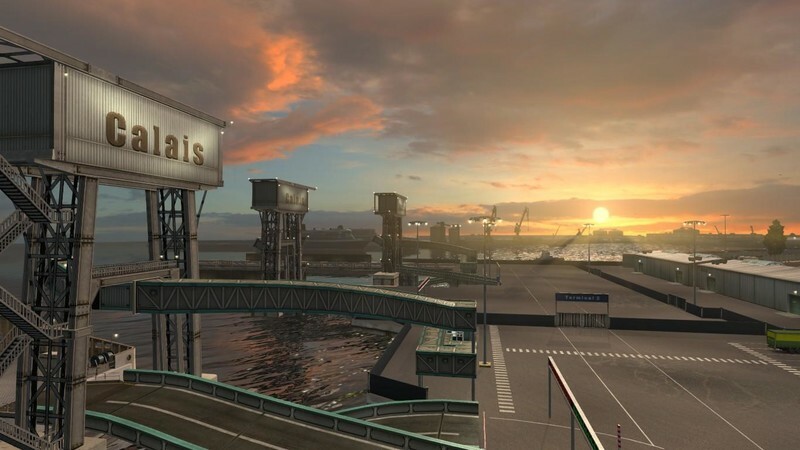 – Fixed pixelated sky textures appearing in some places. [Known bugs] – I’m looking for a way to fix these issues. I’ll fix them as soon as possible. – Sometimes the sky becomes black during sunrise. 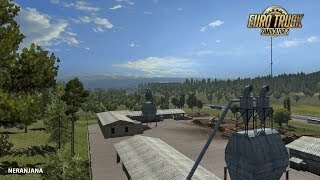 – Sometimes vehicle shadows start flickering. 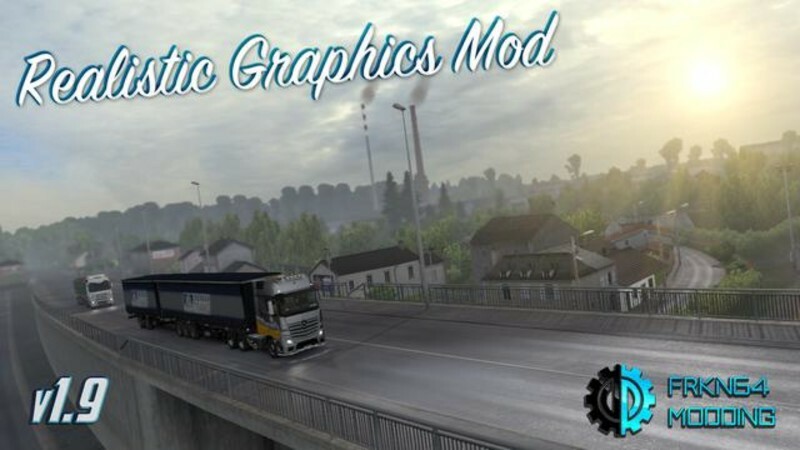 – First and top rated graphics mod in ETS 2 Steam Workshop. 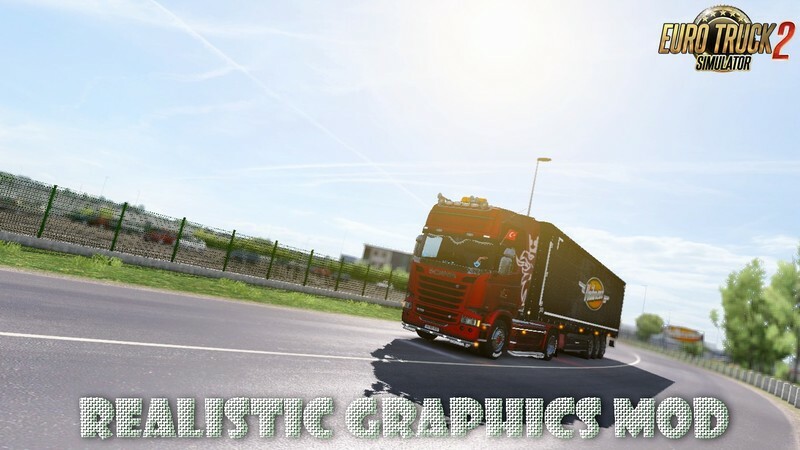 Realistic Graphics Mod v2.0.1 by Frkn64 (1.30.x) for Euro Truck Simulator 2 game. 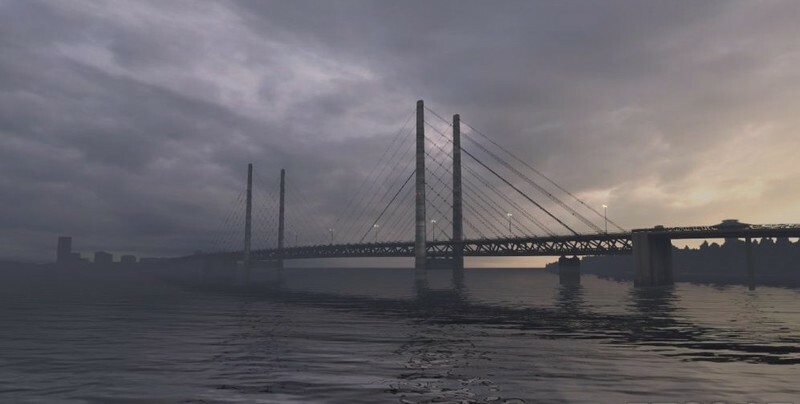 - SGate's weather mod used in this mod. 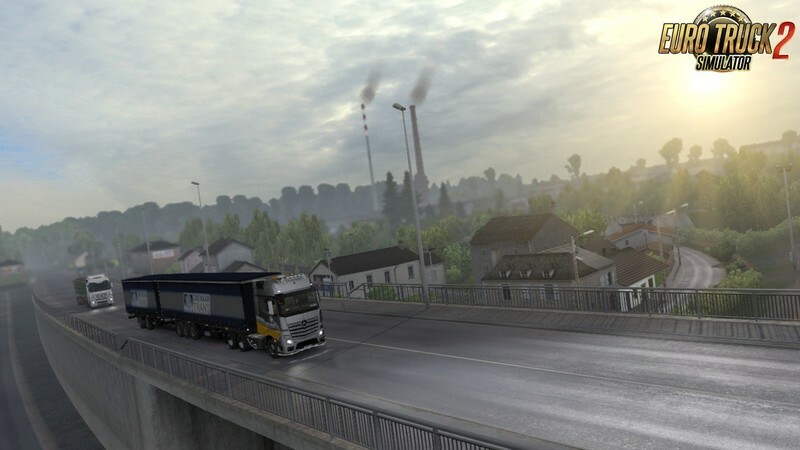 - Updated Promods Addon Compatibility (for compatibility with the new version of Promods map v2.25.). Attention! 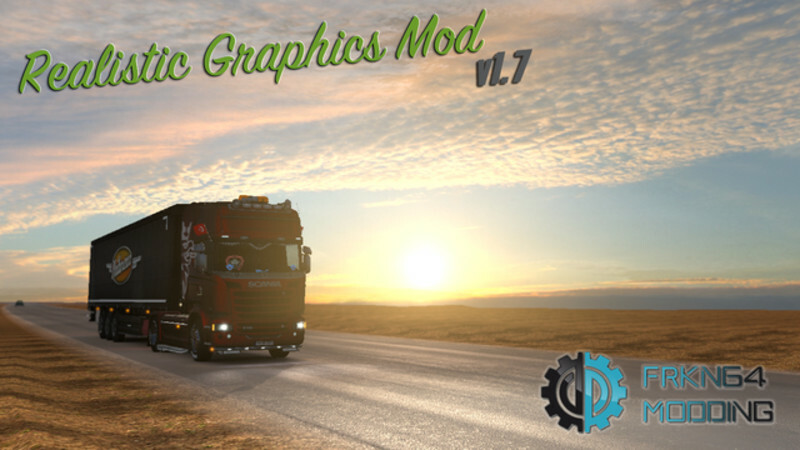 In your graphics settings, High Dynamic Range and Color Correction options must be selected while using the mod.
? Attention ? 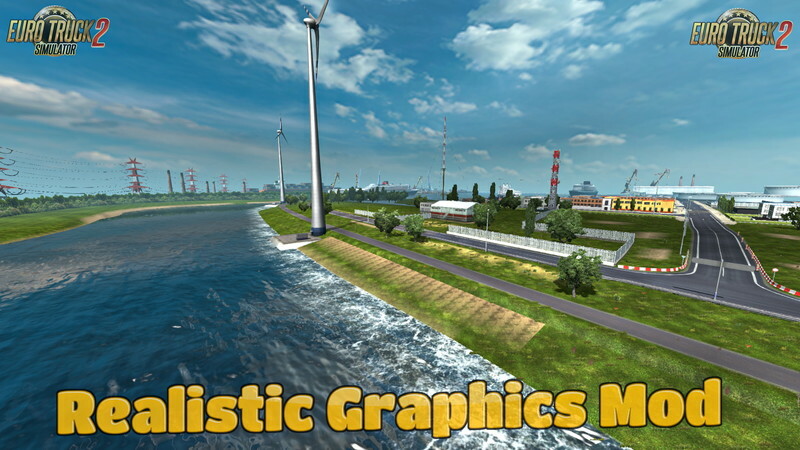 In your graphics settings, High Dynamic Range and Color Correction options must be selected while using the mod. - Traffic and streed light flares improved. 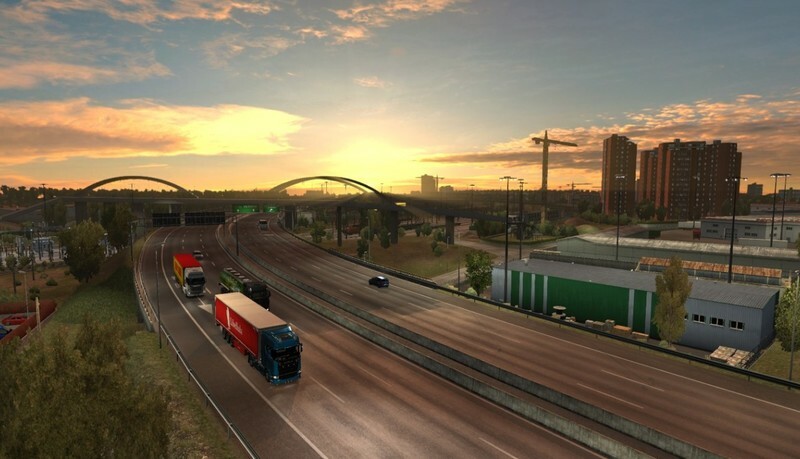 - Now fully compatible with ETS 2 update v1.30. 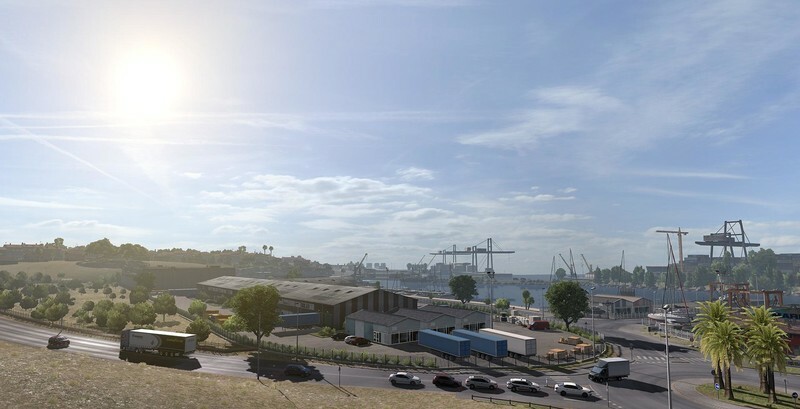 Attention: In your graphics settings, High Dynamic Range and Color Correction options must be selected while using the mod. Darker Graphics Addon - reduces the illumination (for those who the original is very bright). 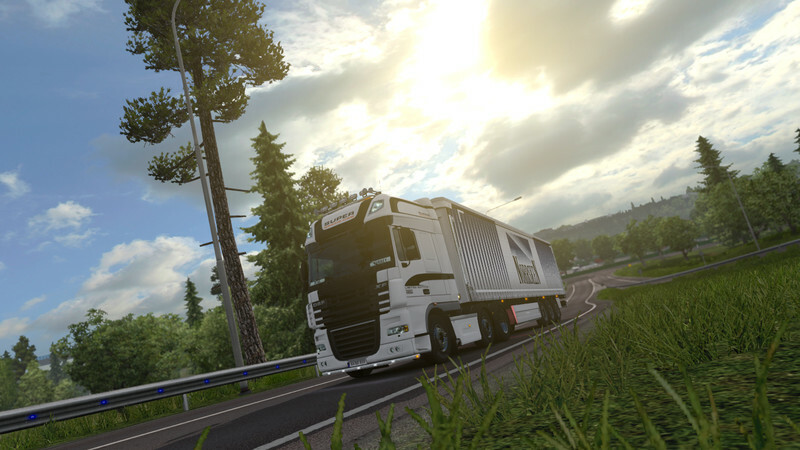 - First and top rated graphics mod in ETS 2. - Fixed the file version error of the skybox.pmg. 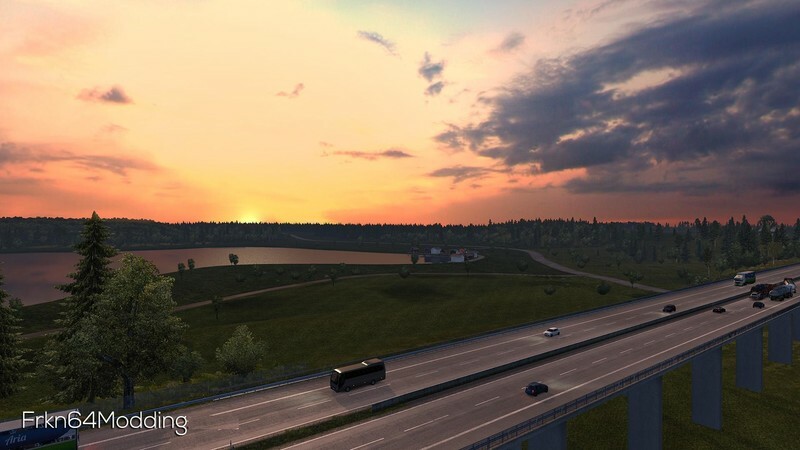 - ETS2's upcoming 1.29 version support was included. 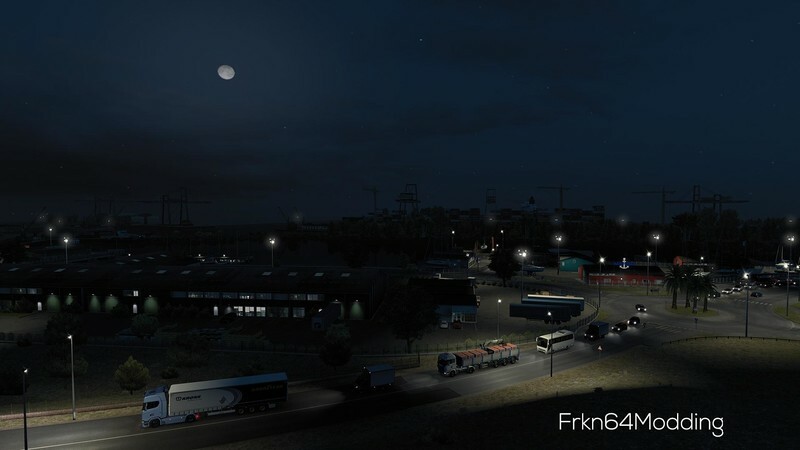 – Promods Compatibility Addon and Darker Graphics Addon available in the zip file. 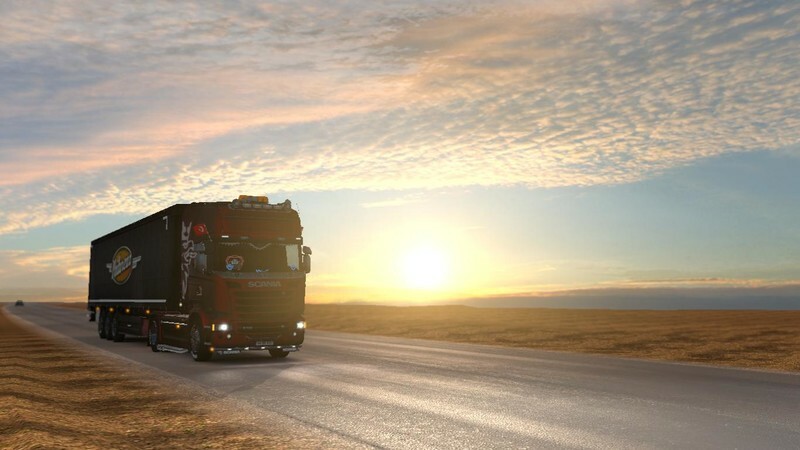 – More brighter rear red lights of vehicles. - More brighter rear red lights of vehicles. - More smaller headlight flares. 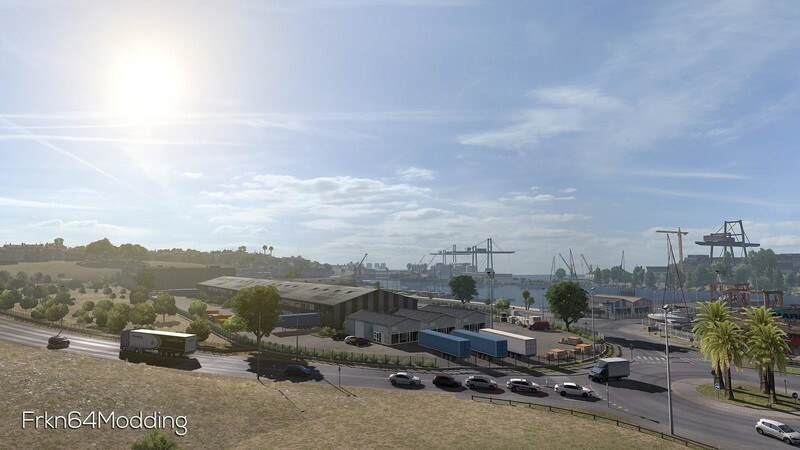 Attention In your graphics settings, High Dynamic Range and Color Correction options must be selected while using the mod. 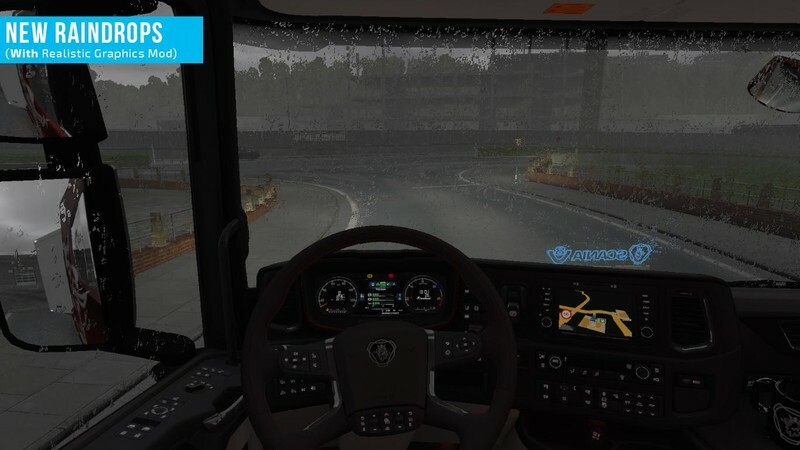 - Fixed black asphalt issue at tollbooths in France. - LED light reflections were made like spot light reflections. - Beacons and headlight flares changed and were adapted to reality. 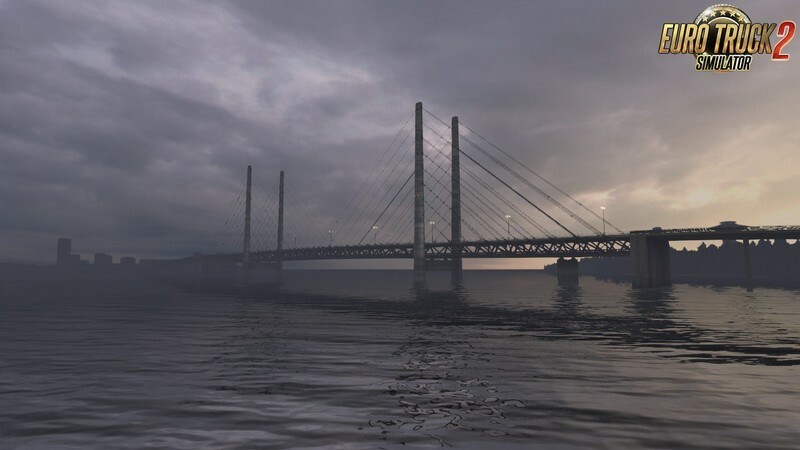 - Other light reflection values made more realistic. 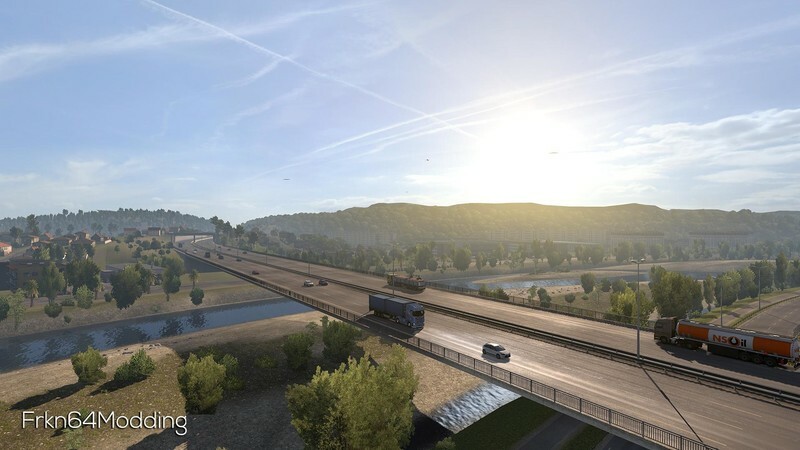 • First and top rated graphics mod in ETS 2 Workshop. • Important errors not available. 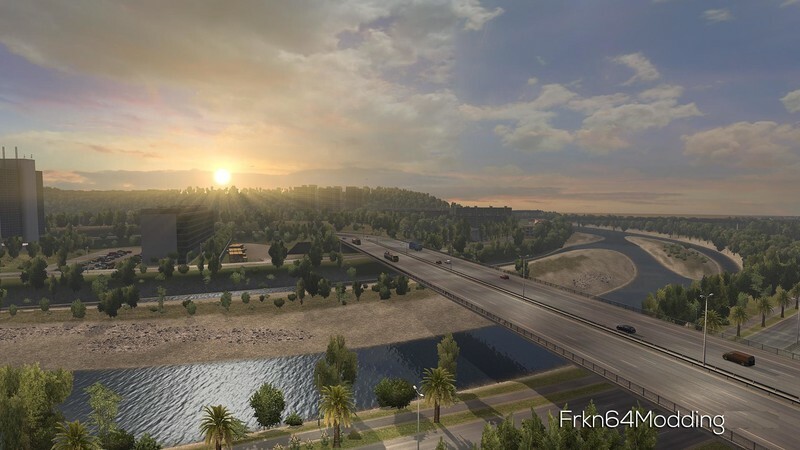 • SGate's weather mod and Abasstreppas's light flares included. 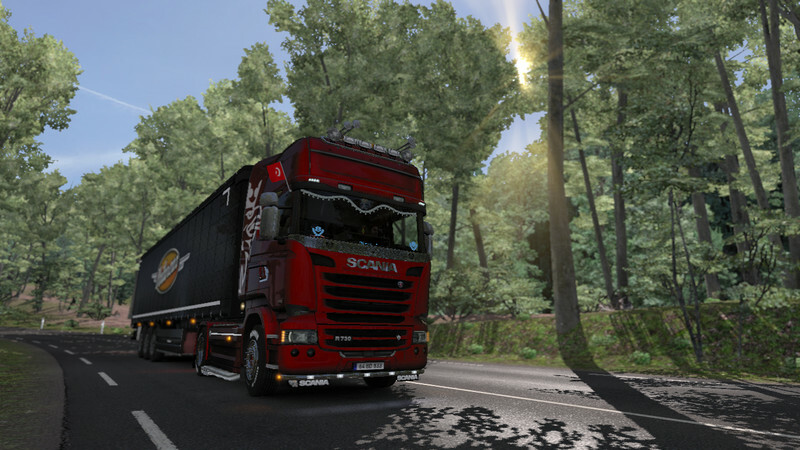 • SGate’s weather mod and Abasstreppas’s light flares included. – Fixed “sun_hdr” warning in console. 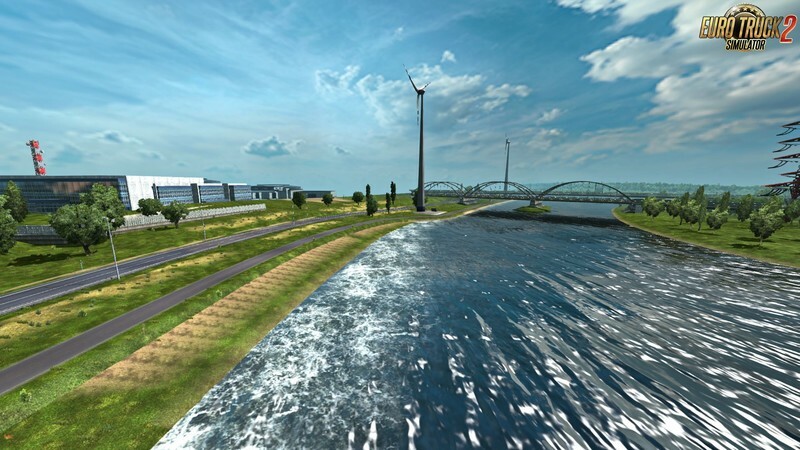 – Fixed speed limit problem in UK.